Britney Spears Writes Letter To Fans & Reveals Cover For Her "Most Personal Album Ever" 'Britney Jean'! Earlier today the legendary Miss Britney Spears revealed the cover for her much anticipated 8th studio album 'Britney Jean.' 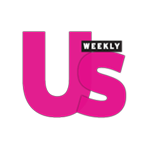 The cover shows a stripped down Spears in black and white with a neon heart and signature over the photo. It is noticeably less glam that her other album covers but it is Britney so it still looks amazing! It makes since that she would choose this as her cover as she keeps promising that 'Britney Jean' will be her "Most personal album ever." Along with revealing her gorgeous new album cover. 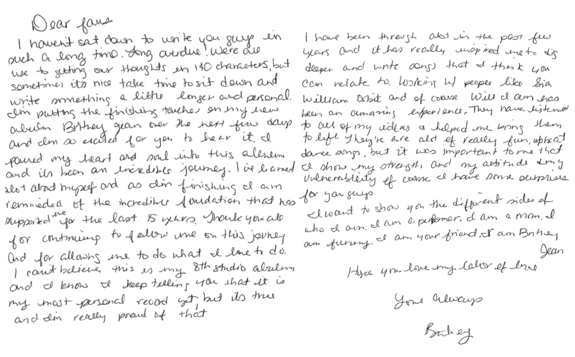 the pop sensation also wrote a hand written letter to fans to show gratitude for 15 years of support. I love that she took the time to do this for her fans. She seems to really want to connect with her art and her support system more as she evolves as an artist. Check out the letter below! I cannot wait for 'Britney Jean' to come out on December 3rd! Britney loves a December release date and I am sure all of her mega fans will be proclaiming December 2013 as "Britmas" once again (I know I will)!! I am also looking forward to my pilgrimage to Las Vegas to see my queen in action. 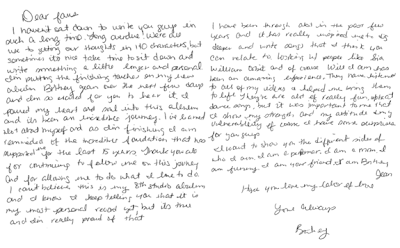 Thanks Britney for the amazing letter to your fans! We love you Britney! P.S. I love the name of the album! I don't know if many people realized that was her middle name but it is so good and southern. The name also reminds me of when Janet Jackson did her album entitled "Damito Jo." SO GOOD!